Sunday worship services begin at 10:00am. 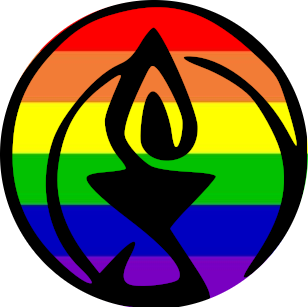 Worship services reflect the Fourth Principle of the Unitarian Universalist Association, “a free and responsible search for truth and meaning,” and respect the varied religious beliefs and experiences among congregants. Services usually include music, time for silent reflection, an opportunity for members to state their “joys and sorrows,” and an affirmation of our commitment to exist as a community. Our services are led by our minister, a guest minister, a Worship Associate, or someone from within the congregation. The Worship Team welcomes ideas for services and helps members develop services from their ideas. Religious Education classes and childcare are available for children during the services except during Intergenerational Services, during which time the JRUUC Nursery is available for parents with very young children. A period of fellowship follows the service, sometimes with a meal or refreshment.